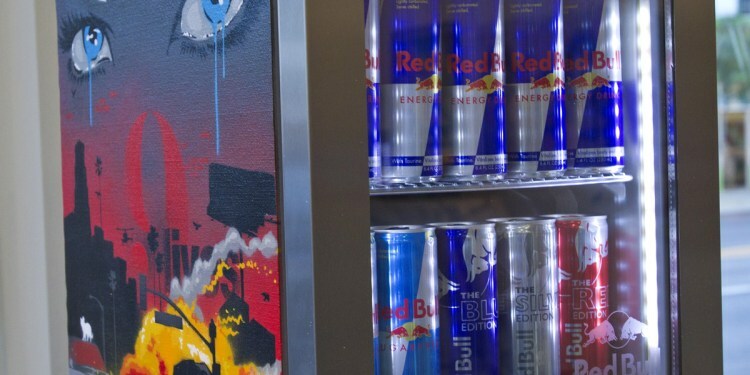 Red Bull has extended its partnership with AT&T and will connect up to 1 million coolers to the AT&T network. Each time a customer opens and closes the door of a connected cooler, an embedded monitor will collect the data, which will be sent at regular intervals to the cloud via an AT&T SIM card. The coolers will use Bluetooth for on-premise connections, and will connect to AT&T’s 3G and/or LTE network in the U.S., and to 2G cellular networks in some other parts of the world. Coolers will update retail stores on their temperature status so that workers do not have to manually check the coolers. Workers will also get an alert when a cooler needs to be restocked. The connected cooler solution, developed at the AT&T Foundry, leverages the carrier’s Flow and M2X IoT platforms to process data in the cloud. AT&T said it developed the solution in close collaboration with Red Bull. AT&T and Red Bull are longtime partners. The carrier has worked very closely with the Infiniti Red Bull Racing Team, which is fully owned by Red Bull, employs hundreds of people, and competes in Formula 1 races. AT&T provides the team with global Ethernet virtual private network fiber services for all races. Each car has an IP address and is continuously downloading data from multiple onboard sensors to pit crews and to support staff members who are not even at the race. Enterprise partnerships are critical for service providers as they develop embedded solutions for the internet of things. Although there are dozens of companies from a number of different industries creating enterprise IoT solutions, few of them have the breadth and depth of corporate relationships that AT&T has.